Located on the eastern bank of Beaverdam Lake, the Evansville site originally had at least four earthen mounds. Today, Mounds A and B remain, while a smaller mound southwest of Mound B is barely visible. 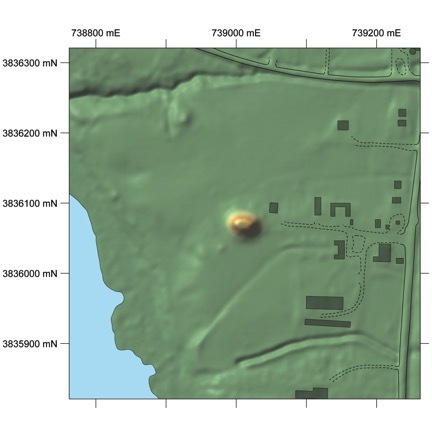 A fourth small mound was formerly located about 225 feet southwest of Mound A. When first recorded in 1926, Mound A had a two-tiered platform - the western summit was roughly 18 feet in height and the eastern summit was somewhat shorter. This two-tiered mound is similar in structure to Mound A at the nearby Beaverdam site. Currently, Mound A is about 12 feet tall at its highest point. Mound B, located 525 feet northwest of Mound A, is conical in shape and roughly three feet tall. 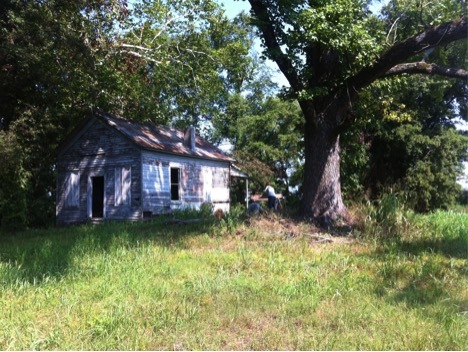 The abandoned schoolhouse on its summit has been there since the 1920s or perhaps earlier. Professional archaeological excavations in the western slope of Mound A indicate that the mounds were built by Native American people during the Mississippi Period, ca. AD 1200-1600.